On the 4th January 2014 we were invited to attend the official celebrations for the completion of the renovations of the school and Marie offices and village hall. Anyone who lives or has visited France in winter will know that small villages are ghost towns, you can go days without seeing another human being. So it was to my surprise to see so many people at this celebration, where did they all come from? Did they come out of hibernation or were they from other villages? whatever the case it was lovely to see so many people attending the celebrations. Our outgoing Marie Claude Barthez was in all his finery and had invited officials from all the covering bodies, we were even blessed with a visit from our senator. The day had begun as damp grey day but at 11am precisiley the clouds broke and the sun shone for the next few hours, I’m sure Claude had specially ordered the sunshine. After the official cutting of the ribbon we were all ushered around the school buildings to see the handy work of the builders, and wow they had done a great job, what amazing facilities for a junior school, the very latest technology and computers for every child. 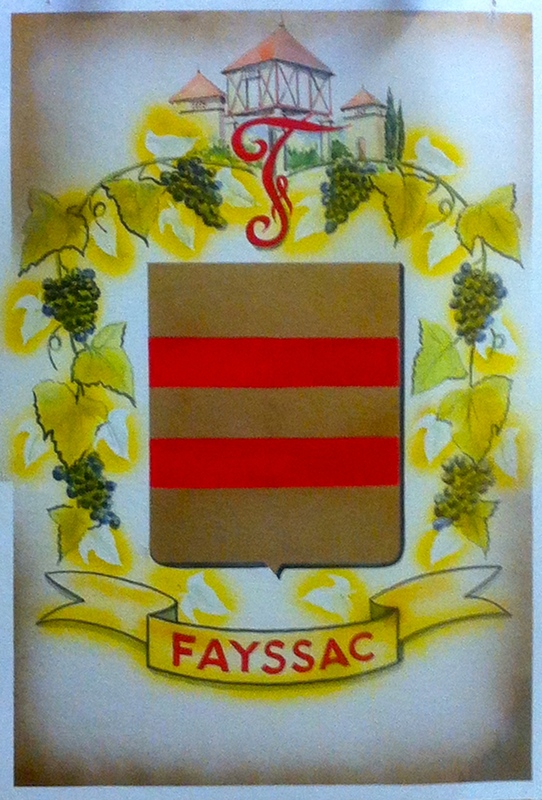 The village junior school is shared between two villages Fayssac and Cestayrols, The infants is in Cestayrols. Then after our nosey around it was off to the village hall for the speeches and oh how the speeches went on and on and on and on, luckily being in France there was plenty of wine on tap and lovely nibbles prepared by the wives of the councillors. We met some lovely people during our nosey around the school and learned lots about the village, there used to be two cafes and bakery and a grocery store, only one cafe exists our amazing Au Cafe Joubert the other one which was opposite is now a house as is the grocery store and the bakery. which i must say has all the important things on it like grape vines and more grape vines… perfect. 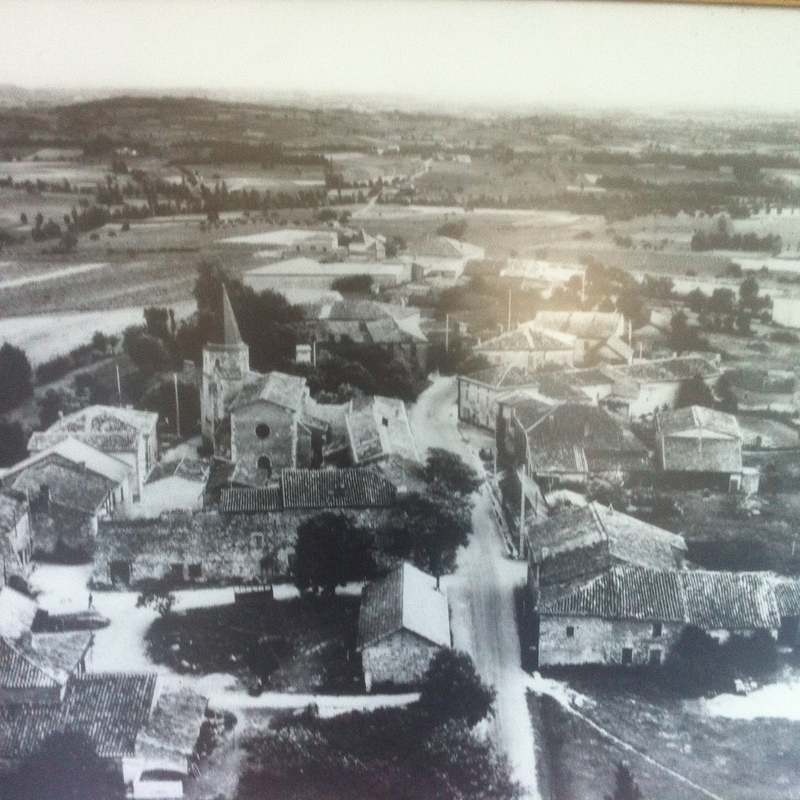 Here is a fab black and white photo of the village, not sure what year it is, just in front of the church is where the school now is and the second large building just behind the church is our house. 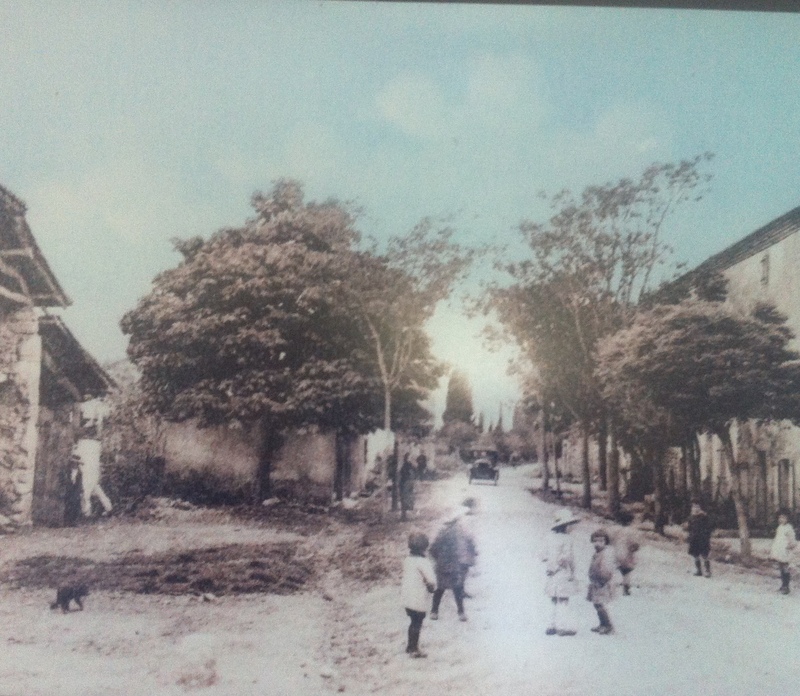 This is our main street 90 years ago, just left of the car is where Au Cafe Joubert is. Its obviously summer as there are people about.